Click on results to download a pdf copy of the results. Click on results to download a pdf copy of the results. Racing heats will start on 10th June 2019 - see Calendar / Racing Timetable on left. 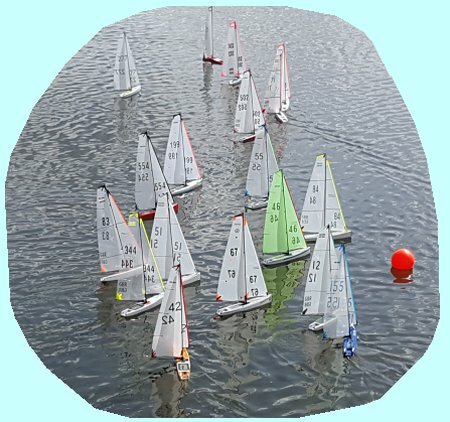 Sail numbers currently in use for Victoria and DF95 yachts for Rugeley and Aldridge Model Boat Clubs are collated by the each club's race co-ordinator. Click on the image to download a pdf copy of the file. 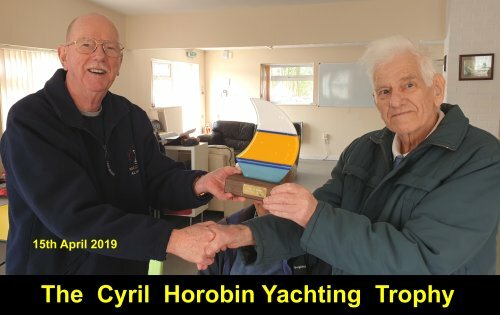 The Cyril Horobin Yachting Trophy was presented to the Chairman of Rugeley Model Club on 15th April 2019 by Cyril Horobin, a very distinguished recently retired model yacht sailor who has been involved with the Rugeley Power Station Model club since its inception in the 1980	s. Cyril is highly respected amongst the model yacht fraternity in the UK, and is best known at RMBC for finding wind in a "dead calm'"
The Brian Rogers Challenge Trophy was presented to the Rugeley Power Station Model Club in late 2012 by Brian Rogers, a past Chairman and the then President of Rugeley Power Station Model Club. 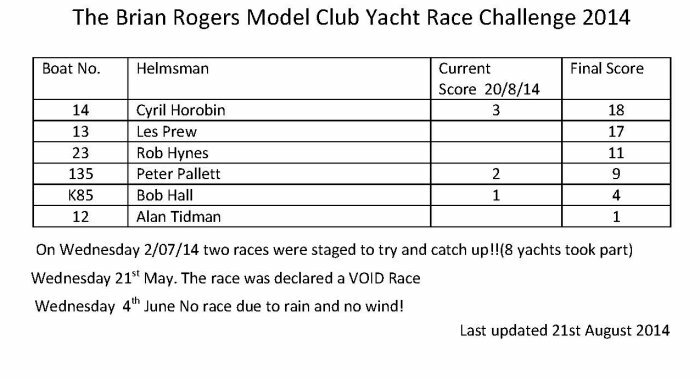 The chart below gives some information about settings for various wind conditions when using a Victoria. 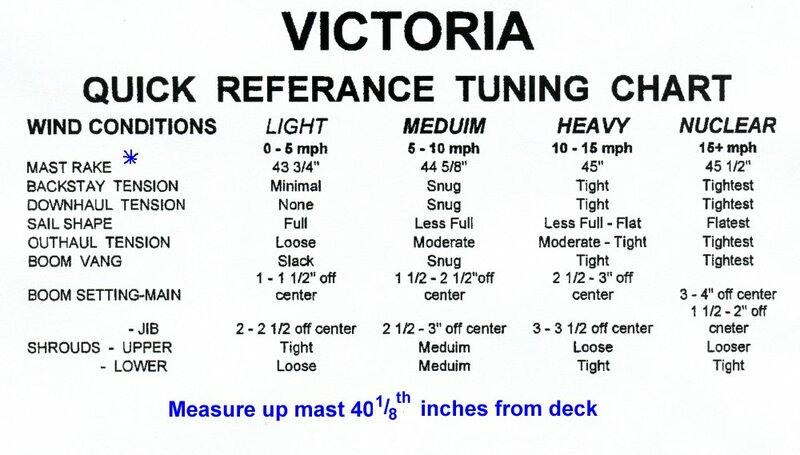 The information is provided by Ray Seta - Victoria 2424K(USA) and the chart is at the end of his seven page article "Time to get Serious with Tuning.". If you click on the link you can download a copy. 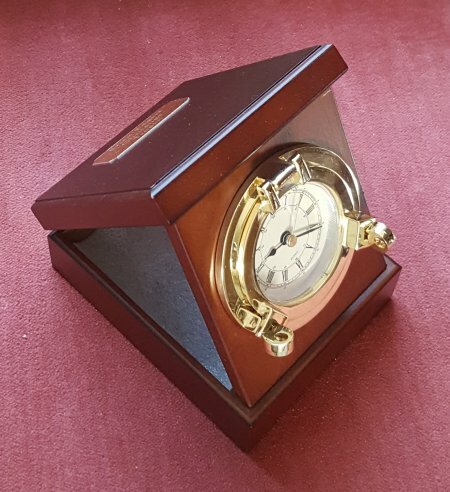 Note that the setting position is to put a mark 40 1/8 th inches up the mast. 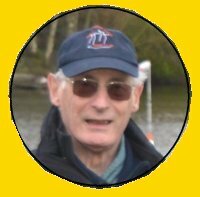 2017 - No racing this year. 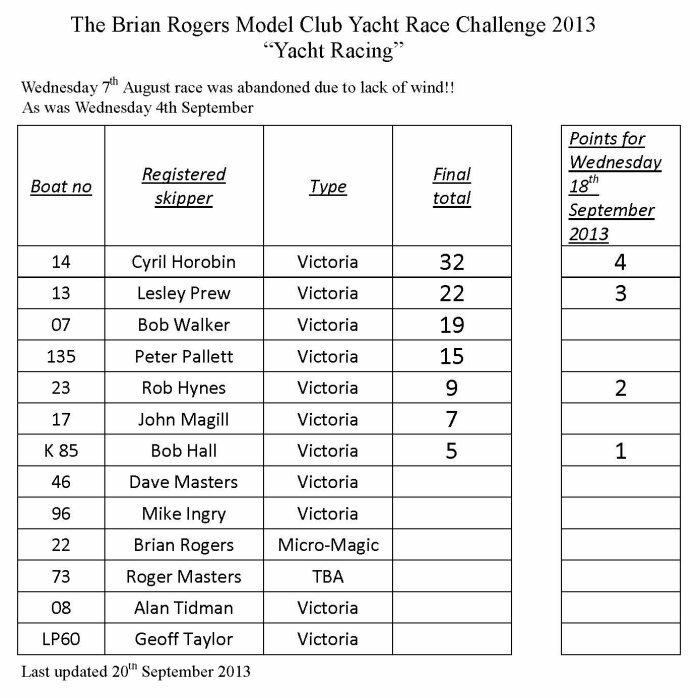 Click on the results to download a pdf copy of the results. You can increase viewing size using "Ctrl" & "+" or decrease size using "Ctrl" & "-"